KOBE - The city of Kobe and neighboring areas on Thursday marked the 24th anniversary of the deadly Great Hanshin Earthquake, with residents and family members of the deceased remembering those that were lost and pledging to ensure that their stories and lessons learned from the disaster are passed on to future generations. A moment of silence was observed at 5:46 a.m., the time the 7.3 magnitude quake struck the Hyogo Prefecture capital on Jan. 17, 1995. The temblor killed 6,434 people. Almost a quarter of a century after the quake there are concerns that the disaster could be forgotten by people who didn’t live through it. “I fear that the lessons we learned from the earthquake, and our memories of it, are waning,” Hyogo Gov. Toshizo Ido said at a memorial ceremony held by the prefecture. Last year, among those living in public housing in the prefecture accommodating the disaster victims, 70 residents, most of whom are elderly, died alone. The tally brought the total number of lonely deaths since 2000 to 1,097, when the prefecture began taking such a survey. “We will keep the experiences and lessons acquired from the disaster alive,” Kobe Mayor Kizo Hisamoto said. Also Thursday at Suwayama Park, a trumpet performance was held to commemorate the anniversary. But due to the aging of the organizer, this year’s performance will be the last. 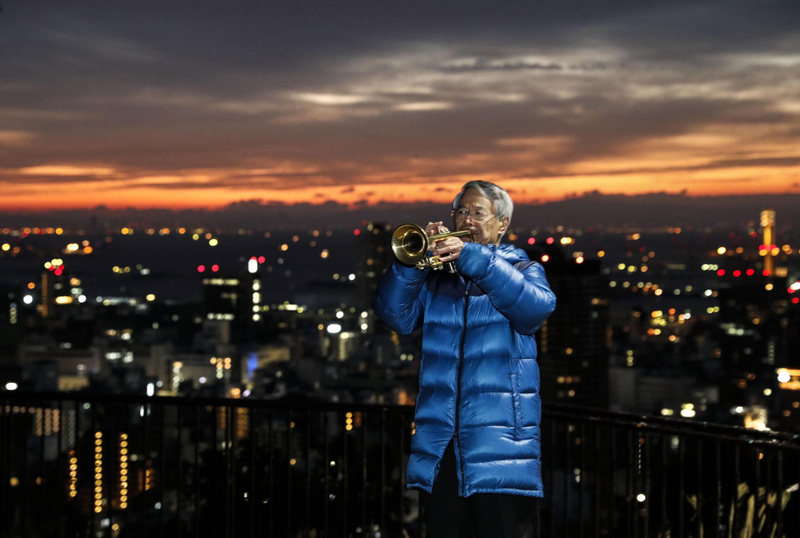 Akira Matsudaira, 76, plays trumpet for the event almost every year. 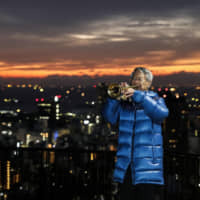 “It is regrettable that we have to end this event but I want to continue my commemorative performance in various places,” Matsudaira said. Some young people are eager to learn more about the disaster and the lessons that can be taken from it. At another park in the prefecture, Oka Yanagawa, a senior high school student, said that because he is in the generation that didn’t experience the disaster, he wants to learn about it. At the ceremony held by Hyogo, the governor also highlighted the importance of being prepared for emergencies, particularly after a series of natural disasters struck Japan last year and with experts warning of a possible megaquake along the Nankai Trough, which extends southwest from central Japan along the Pacific coast. 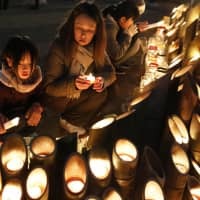 “I want to convey to the younger generations how we recovered by building deeper bonds with each other,” Daisuke Shibata, 31, said at the ceremony as a representative of the bereaved families. He lost two younger brothers in the quake, which destroyed or caused damage to some 640,000 homes. In addition to the 6,434 killed, the magnitude 7.3 quake left some 43,000 others injured. As many as 310,000 people evacuated to emergency shelters. 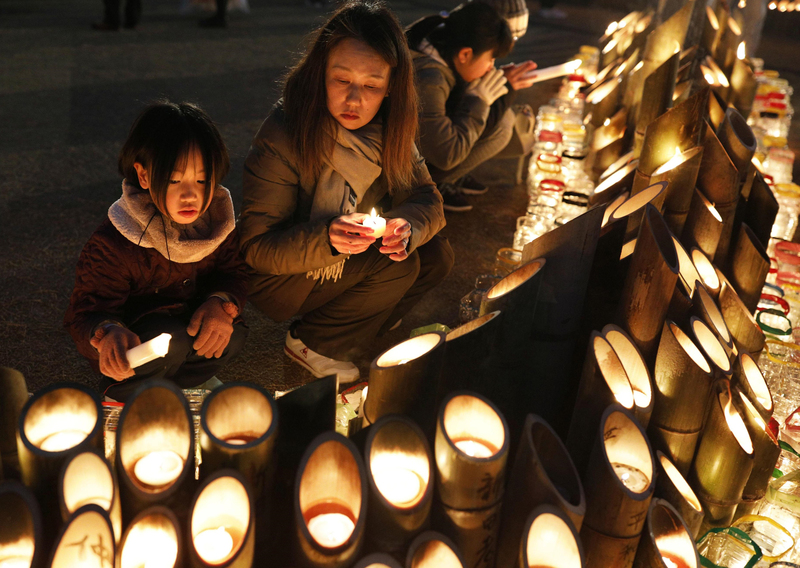 Thursday’s memorials were the final ones of the Heisei Era, which began in 1989. The era name will be changed when Crown Prince Naruhito accedes to the throne on May 1.